The core recommendation is that over 50’s should exercise at least 30 minutes of "moderate physical activity" on most days of the week. Strength training should be a main focus, as it prevents bone and muscle loss. Additionally, flexibility and functional movements (those that mimic everyday activities) are important. 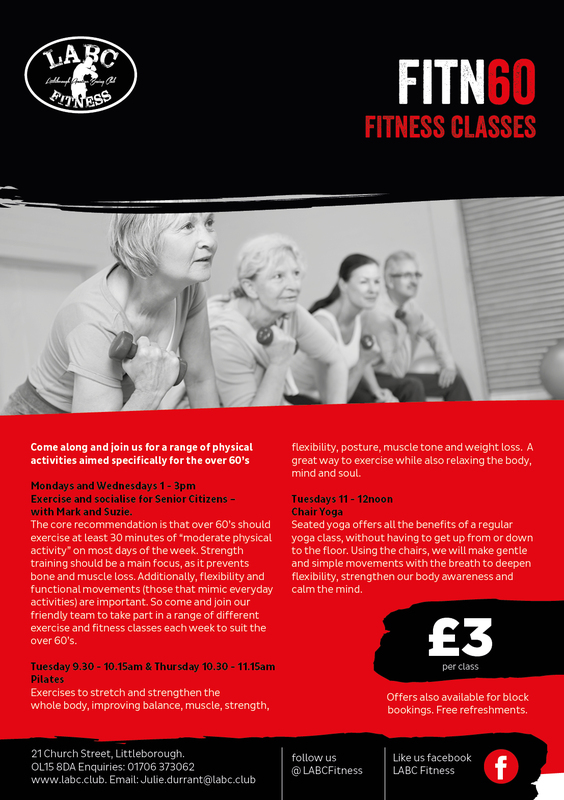 So come and join our friendly team to take part in a range of different exercise and fitness classes each week to suit the over 50’s. Offers also available for block bookings.